Divorce is, unfortunately, inevitable for some couples with children. There sometimes comes a time when staying together is not only bad for the couple, but for their children as well. However, that doesn’t mean that many divorcing parents aren’t still concerned about the impacts that their divorce could have on the children; in fact, most-all are very concerned about the impacts of divorce on their children, and want to take any and all steps possible to ensure that they remain emotionally, psychologically, and financially supported. There are plenty of things that parents can do to ensure that their children feel supported and stable throughout the divorce; such as ensuring that you stick to keeping routines and rituals, working hard to get along and cooperate with your ex, taking care of yourself, asking questions and being a good listener, etc. You will also want to put in a good amount of time and thought into creating the parenting plan with your ex, as that will be an important element for your child in maintaining the best routine possible. Perhaps most importantly, the conversation that you have with your child is key, and will significantly depend upon that child’s age and unique personality. 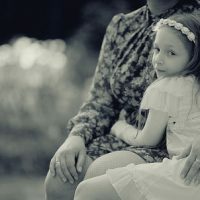 Regardless, experts suggest that you follow some broad guidelines in this conversation about divorce, and let your child know that they have a right to feel whatever it is they are feeling and should feel comfortable expressing these feelings. It is also suggested that you make it very clear that the divorce is not the child’s fault, and that whatever support they need, they will get. There is a lot of information out there that might scare you as you do research on this – articles indicate that students whose parents undergo divorce go through emotional distress that impacts their lives, but remember that there is also a lot of the research out there indicating that it is healthier for children to grow up around two happy, loving parents who are happy because they divorced versus living in a home with a lot of conflict. How you explain the situation to them, how you handle the relationship with your ex, and what kind of outside support your child receives will have a strong effect on whether and how the divorce will impact your child’s life. Keep in mind that some experts also feel that waiting until your child leaves for college to divorce is not easier on the child; in fact, when a child first leaves home and is independent is arguably the time in their life when they most need parental security. Divorce may be a fact of life, but that doesn’t mean that you cannot make the right choices to ensure that you and your children are healthy and happy. Working with the right divorce attorney can help ensure that the process and transition goes smoothly.